Y.A.L.E. is a 9th grade organization created to promote academic success, leadership, philanthropy, and fellowship amongst students in Saint Lucie West Centennial High School’s Freshman Academy. Freshmen participation in school activities and events is a vital component of maintaining school pride and culture. Y.A.L.E. provides numerous paths to involvement for students who might not already participate in athletics, band, chorus, drama and other clubs. At its core, Y.A.L.E. is an academic organization that supports student success: 85% of members have a GPA over a 2.5, and 40% are on honor roll. Membership in Y.A.L.E. is highly inclusive, and is representative of the overall population at Centennial, including ESE students, and myriad kids representing all walks of life. Y.A.L.E.’s weekly peer tutoring program has had a demonstrable impact on the level of achievement in the Freshman Academy, and its emphasis on student involvement has emboldened many members to branch out into other extracurricular activities and organizations. To date, Y.A.L.E. has been involved in philanthropic outreach to several worthy causes, including supporting P.B.I.S., the CASTLE Memory Field, the Wounded Warrior Project, Breast Cancer Awareness, the S.T.E.A.M. rap battle, and the Martin Luther King Jr. Parade. 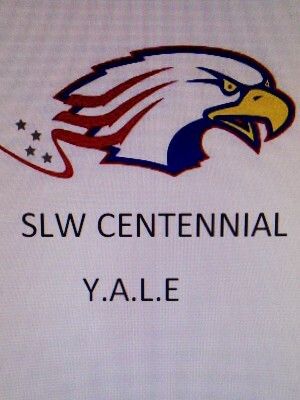 Created for and by Centennial staff and students, Y.A.L.E. would not exist without the continued efforts of its leaders, Monarae Buchanan, Robert Guzy, Pam Jenkins, Saskia Joseph, Karla Kahn, and Rita Markowitz. Y.A.L.E. has had an overwhelmingly positive impact at Centennial High School in its inaugural year, and the future is indeed bright for this program.